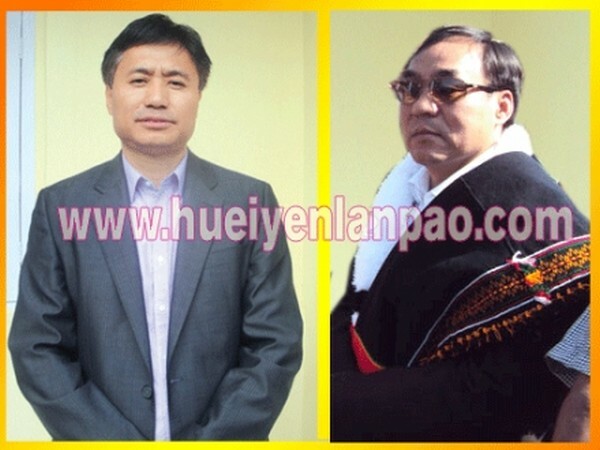 Imphal, June 29 2013 : MLA of Chingai A/C MK Preshow Shimray is all set to become the new Deputy Speaker of Manipur Legislative Assembly. But an official announcement to this effect would be made only on July 1 next. According to information received from the Secretariat of Manipur Legislative Assembly, after the notification for election to the post of Deputy Speaker, which has been lying vacant for quite some time; no other candidates with exception to MLA MK Preshow Shimray have filed their nominations till 11:55 am today, the last moment of filing the nominations. Though a number of Congress MLAs and Opposition MLAs desired to file their nomination papers to contest for the post of Deputy Speaker, majority of the MLAs have supported the candidature of MLA MK Preshow Shimray, and so, he has become the lone candidate to file the nomination papers for the post till the last moment today. In this light of this development, MLA Preshow Shimray could very well be declared elected to the post of Deputy uncontested. However, his appointment to the post of Deputy Speaker and an official announcement in this regard has to wait till the Election Day, which falls on July 1 . It may be noted here that elected to the 10th Manipur Legislative Assembly from Chingai Assembly Constituency of Ukhrul district, MLA MK Preshow Shimray is the son of MK Somi of Poi village, which lies between Indo-Myanmar border pillar number 26 and 27.Even though he was born in a remote village located along the Indo-Myanmar border, his parents gave the best education and he went on to work as a Senior Scientific Officer in the Department of Environment and Ecology Wing, Government of Manipur. Meanwhile, filing of nomination papers for the post of the Vice chairman, Hills Area Committee (HAC) has completed today. Congress MLA Z Kikhonbou Newmai is the lone candidate who has filed the nomination paper to contest for the election to the post, which is also scheduled to be held on July 1 next. So, he is also set to be declared elected uncontested to the post of Vice chairman of HAC on July 1 . MLA Kikhonbou Newmai has been elected to the 10th Manipur Legislative Assembly on Congress ticket from Tamei Assembly Constituency of Tamenglong district. Born to Kawidinbou Newmai, Kikhonbou hails from Takou village.